The Heliopan 48-55mm Step-Up Ring (#193) is a step-up ring permitting the use of 55mm threaded filters on a 48mm threaded lens. 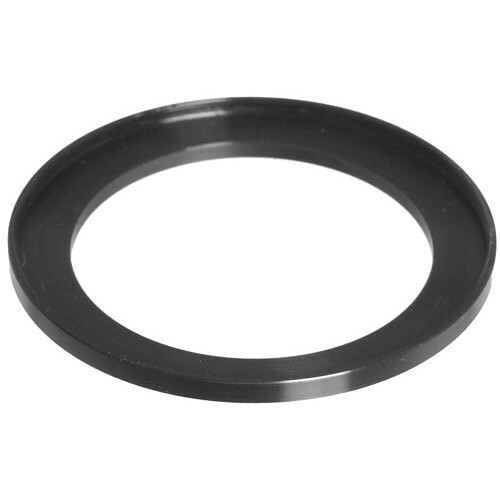 Constructed of matte black brass, Heliopan step-up rings are highly durable and longer-lasting when compared to aluminum rings. Box Dimensions (LxWxH) 2.3 x 2.3 x 0.4"
48-55mm Step-Up Ring (#193) is rated 5.0 out of 5 by 1. Rated 5 out of 5 by Anonymous from Heliopan 48-44mmStep-Up Ring When you first feel this ring you know that your lens and filters are being assisted by the top on the line.that name means that you are getting the best!